Herloo People♥ :3 I'm so happy that I'm here because FINALLY I'm free today to update my blog here :) Know you guys miss me so much :P Just done the submission for my assignments left 2 last assignments! Okie stop talking those busy stuff is time for FOOD ! 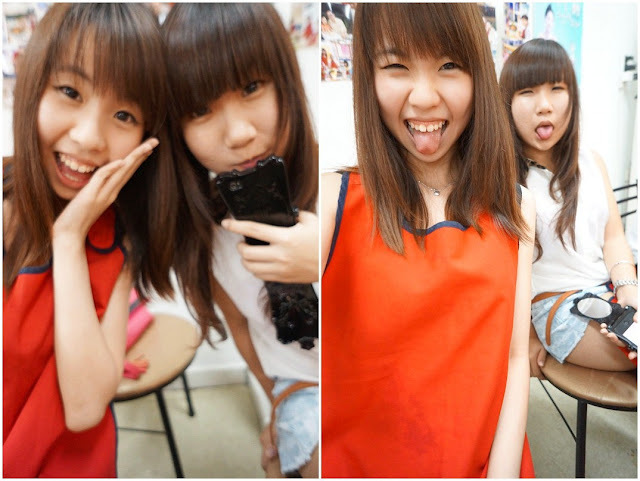 Wondering why am I wearing red piece on my neck like the photo above?! #2 Dak-Galbi ♥ ♥ BEST! 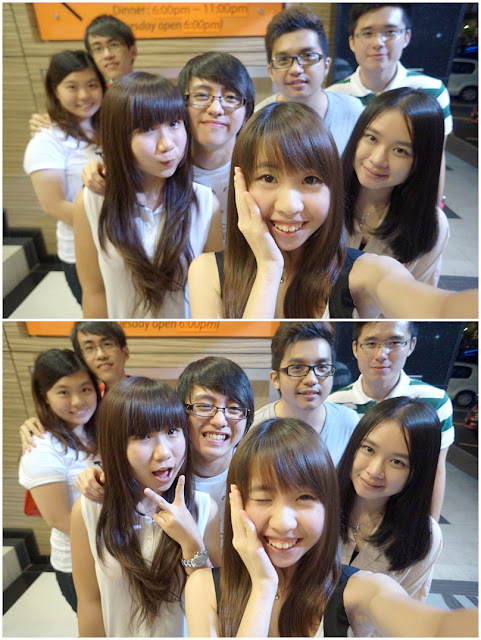 You see so many people >< maybe we went there on weekend that's why :'( But this is worth♥for me to wait! Cold water :) the water bottle is damn cute right? 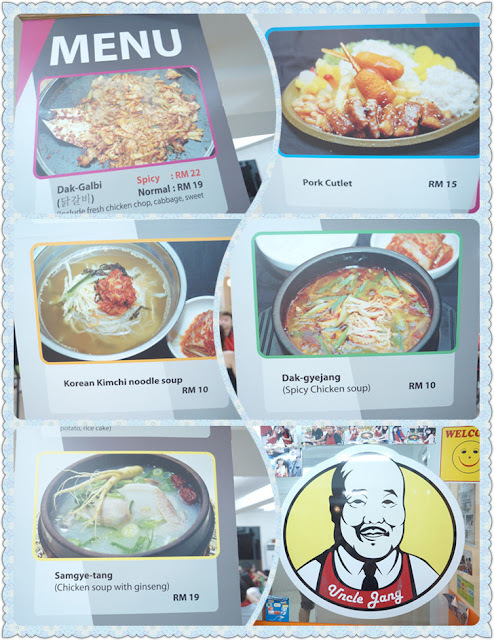 Uncle Jang's speciality is♥ Dakgalbi so we just choose that! I think it's more than enough to serve 4 people! 8 person and we just order 2 Dakagalbi :) One person RM20+ (NO SERVICE CHARGE)! Their sauce that was mixed into the cabbage and chicken was sooooo super good when eaten with the noodles and I'm loving it ♥ ! Those kimchi, sauce,bowl of soup, lettuce are given :) We ordered some extra ramen for it.. I can tell you this is PERFECT MATCH♥♥!! Although it's really nice but after few mins my mouth start to feel the spicy :( I cannot really take spicy food and so, it's a little too spicy for me. I means very spicy actually :( although we ordered the normal one! But my friends say it's just nice ! OH MY GOD♥ :) Hungry? The smell was make us salivate non-stop !!! mixed everything together then It's dinner time ♥!!! You can wrap it with the lettuce too! Very satisfied's face :P Like drunk♥!